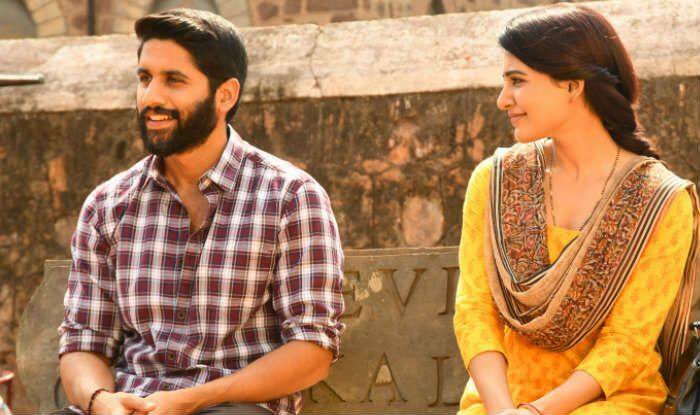 Here's how Samantha Akkineni and Naga Chaitanya's Majili opens at the Box Office in the US. Telugu film Majili, starring Naga Chaitanya and Samantha Akkineni is doing a wonderful business at Box Office in the US. The film has reportedly collected over $125,000 from its premiere shows alone in the US. The report further suggests that Majili’s initial reviews are positive, which can result in a good-word-of-mouth leading to an even better collection. The romantic film hit the screens today, April 5, and opened to good social media reviews. As per a tweet shared by trade analyst Ramesh Bala, Majili has already crossed the benchmark of $125,000 a the US Box Office and is set to record a fabulous first weekend. Bala took to Twitter and wrote, “. @chay_akkineni – @Samanthaprabhu2 ‘s #Majili has opened well in #USA Premieres.. The intriguing chemistry between Naga and Samantha is the added advantage. Majili is also their first film after marriage. It brings the two actors together on-screen after their previous three outings together – Ye Maya Chesave (2010), Manam (2014)and Mahanati (2018). Directed by Shiva Nirvana and produced by Sahu Garapati, Harish Peddi and Sushil Choudhary under Shine Screen Production, Majili also features actor Divyansha Kaushik in an important role. Earlier, talking about coming back on-screen with Samantha after marriage, Naga Chaitanya told telugucinema.com that Majili is the kind of film he wanted to work on with his wife post-wedding. He also revealed that Majili is a realistic film in which the action scenes and the songs do not take a lot of ‘cinematic liberties.’ The climax of the film has the characters of Naga and Samantha indulging in a serious conversation. In fact, the actor also revealed in his interview that he is at peace and quite comfortable enacting scenes that require him to argue with his wife because he now knows the body language and work-style of Samantha very well.